After a few delays on the release front, German tuner Vorsteiner finally gave us a proper showing of their Ferrari 599-VX, a personal take on what’s an already great car. Weirdly enough there’s no change on the technical side, or at least, the chaps at Vorsteiner aren’t ready to give us the full details on it. What we know more about is what they did to come up with the current body kit and new livery. 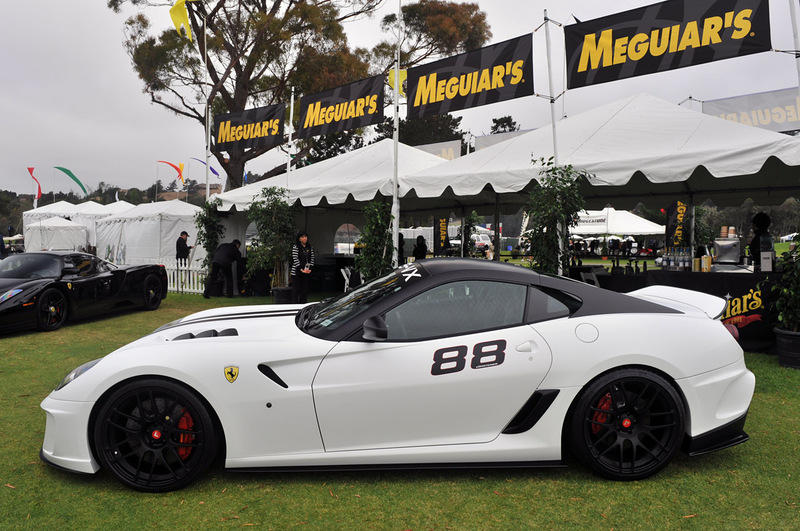 Ferrari’s 599 great as it may be on many fronts, it’s poor on the aspect. That’s where Vorsteiner came in and did a considerable amount of work in order to make some extra heads turn around. 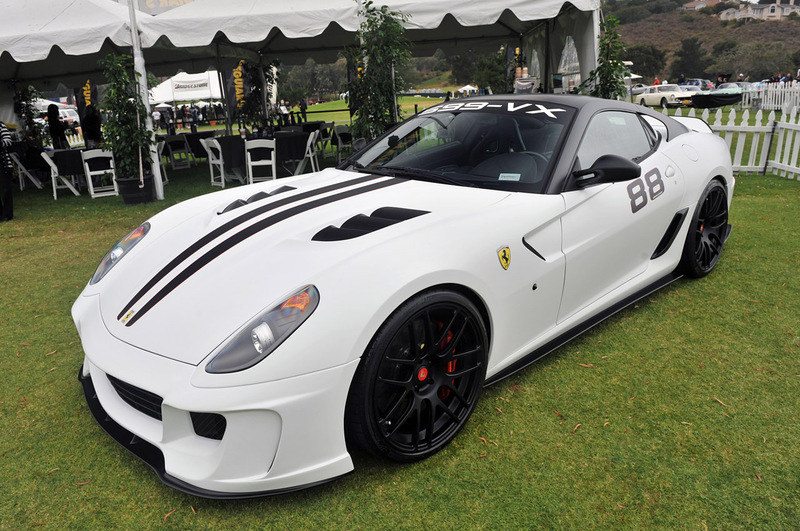 What we’ve been grabbing from them so far is that the body kit is made out of 8 pieces before the regular Italian thoroughbred can become a Vorsteiner Ferrari 599-VX. Going into the details there’s a new front end, hood, side skirts, rear deck lid, rear intake panel and the rear bumper comes with an integrated diffuser. 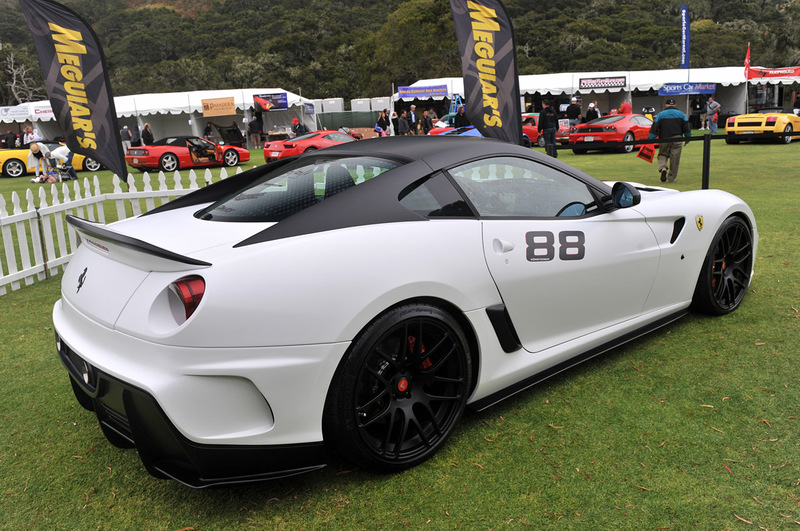 As a considerable detail there’s a new mix of wheels which makes for a lot of queries regarding or not there’s tires on the edge of them or is Vorsteiner just kidding around with the 599-VX. The new livery is achieved courtesy of some matte white vinyl wrap from 3M and a few black details, which under the sun at Pebble Beach looks pretty good.